Hunter Douglas Lifetime Limited Warranty allows you to buy window treatments manufactured by Hunter Douglas without worrying about defects and poor craftsmanship. 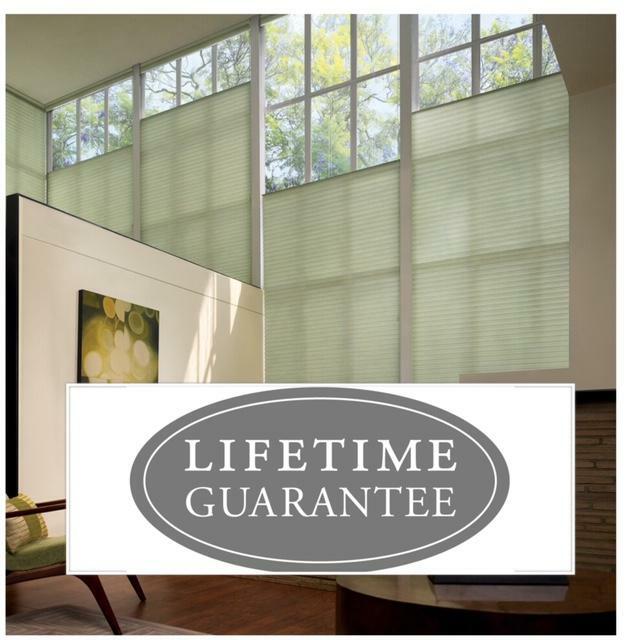 They have one of the best warranties on the market too so you can purchase your window treatments at Lovitt Blinds & Drapery with confidence. If you have a warranty issue with your Hunter Douglas window treatments, we can help you! 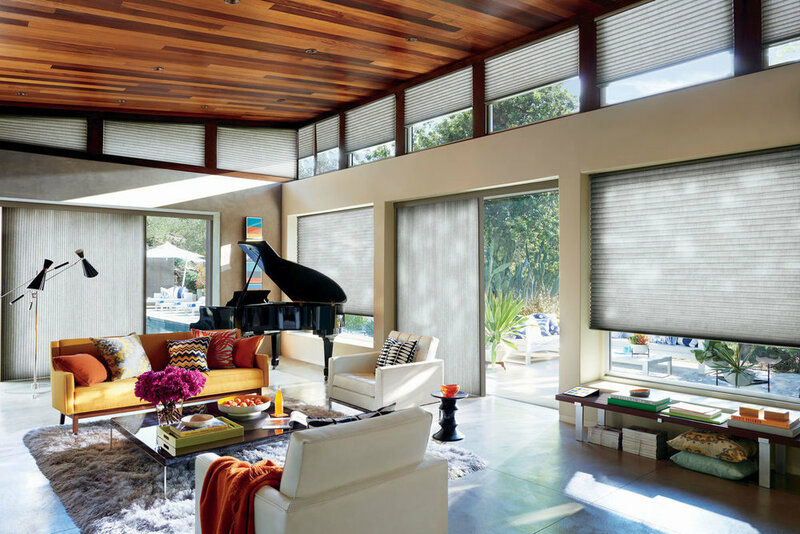 Lovitt Blinds & Drapery is an Authorized Repair Service Center of Hunter Douglas in Chicago & Chicagoland areas. Our professional repair staff can fix your window coverings quickly and professionally. We’ll repair your blinds and shades whether you purchased your Hunter Douglas product from another dealer or us. Most Hunter Douglas Dealers come to us all the time to get their customers' blinds repaired either warranty covered or not covered. So yes we can take care of all your Hunter Douglas repair and warranty issues without a problem. The Hunter Douglas Lifetime Guarantee is an expression of our desire to provide a thoroughly satisfying experience when selecting, purchasing and living with your window fashion products. If you are not thoroughly satisfied, merely contact Hunter Douglas Inc. or contact us with an email. In support of this policy of consumer satisfaction, we offer our Lifetime Limited Warranty, applicable for U.S. customers only, as described below. What’s Covered by Hunter Douglas Lifetime Limited Warranty? What’s Not Covered by Hunter Douglas Lifetime Limited Warranty? accidents, misuse or alterations to the product. Shipping charges, cost of removal and re installation. Different warranty periods and terms apply for commercial products and applications. Best of all, every window treatment from Hunter Douglas is covered by our Lifetime Limited Warranty. Note: In no event shall Hunter Douglas or its licensed fabricators/distributors be liable or responsible for incidental or consequential damages or any other indirect damage, loss, cost or expense. The Hunter Douglas Lifetime Limited Warranty is applicable for U.S. customers only. Some states do not allow the exclusion or limitation of incidental or consequential damages, so the above exclusion or limitation may not apply to you. This warranty gives you specific legal rights, and you may also have other rights which vary from state to state. Lovitt Blinds & Drapery upholds more than just the fineness window coverings in the Chicagoland area. Our knowledgeable staff & managers are involved in every project from start to finish to ensure your window covering project exceeds your expectations. Whether you’re looking for new window treatments, blinds cleaning or window shades cleaning, drapery cleaning or curtain cleaning, blind repair service, or window shade repairs, we’ve got you covered. We are a one-stop shop for all your window treatments needs!